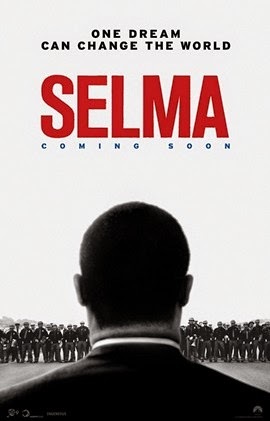 Last week I watched the film, Selma, about the famous Selma to Montgomery (Alabama) march in 1964 to support the voting rights of African-Americans in the US South. I am not sure how historically accurate the film is, but it illustrates the interdependence of civil and political human rights with economic human rights. One economic human right is the right to food, which is a human right under the 1948 Universal Declaration of Human Rights (article 25) and the 1976 International Covenant on Economic, Social and Cultural Rights (article 11). The film opens with a middle-aged black woman (played by Oprah Winfrey) trying to register to vote. At the time, it was legal for the officials who registered voters to ask citizens any questions they wanted to make sure they were literate. These officials were all white, and they asked black people very hard questions. In the film, the official first asks the Oprah character to recite the Preamble to the US Constitution. When she does that, he asks how many judges there are in the state. She answers correctly, so then he asks for their names. She can’t answer that, so he denies her the right to vote. The Reverend Martin Luther King was the leader of the non-violent civil rights movement. He led a campaign against racial segregation and for the right to vote. In the movie, King (played by the British actor David Oyelowo) meets President Lyndon B. Johnson (played by Tom Wilkinson). In reality, Johnson had taken over as President after John F. Kennedy was assassinated. He wanted to end discriminatory voting practices but he had to figure out a way to get Southern white support. He also declared what he called a War on Poverty. During the meeting, King asks for federal support so that the peaceful Selma to Montgomery march can take place. Johnson replies that he is too busy fighting poverty and the vote can wait. King leaves without the support he wanted. 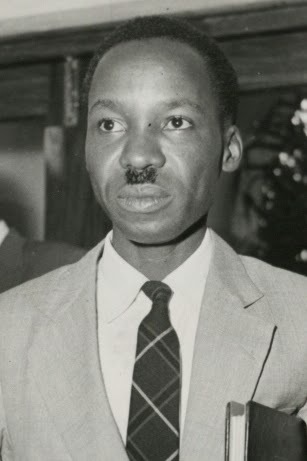 While Nyerere might honestly have believed that political freedom could be ignored until poverty was overcome, his own policies proved him wrong. Between 1973 and 1976 he instituted a policy called “villagization,” moving about five million peasants who had been scattered across the countryside into centralized villages where they could have access to schools, clinics, and other services. The peasants were not consulted and villagization was often arbitrary and brutal. Peasants were moved to areas where the soil was unsuitable for the crops they were supposed to cultivate and there was not enough water. Nor could they protest against their arbitrary removals from their original homesteads, as Tanzania’s one-party state did not permit freedom of speech, assembly, or the press. So they ended up without either freedom or food. I wrote about this back in 1983 in an article entitled “The Full-Belly Thesis: Should Economic Rights Take Priority over Civil and Political Rights? Evidence from Sub-Saharan Africa”, published in Human Rights Quarterly, vol.5, no.4, pp. 467-490. You can find that article here: http://scholars.wlu.ca/cgi/viewcontent.cgi?article=1016&context=poli_faculty. The full-belly thesis was Nyerere’s argument, that you don’t need freedom when you can’t eat. My evidence showed me that if people could not protest their government’s actions, like the actions that Nyerere took in Tanzania, they would not have the right to food. They would be dependent on a leader who might or might not protect their access to food, but if he did not, they would not be able to protest his policies. This is what Martin Luther King knew. If African-Americans could not vote, then at best they were dependent on the benign policies of their rulers and employers. They had no political clout (like the on-reserve Canadian Aboriginals who, similarly, were not allowed to vote until 1960). Somewhere in the movie there’s a brief scene where one of King’s allies asks if maybe Johnson was right, and they should fight poverty first. But the key to all “economic” rights (food, housing, education, health) is political clout. That’s what makes it a right, not just something nice that your rulers might or might not grant you. I agree with you. Aiding authoritarian rulers, no matter how fervent their liberationalist language, provides no checks on building gaudy prestige projects, etc. But setting conditions is the often decried as neocolonialism.